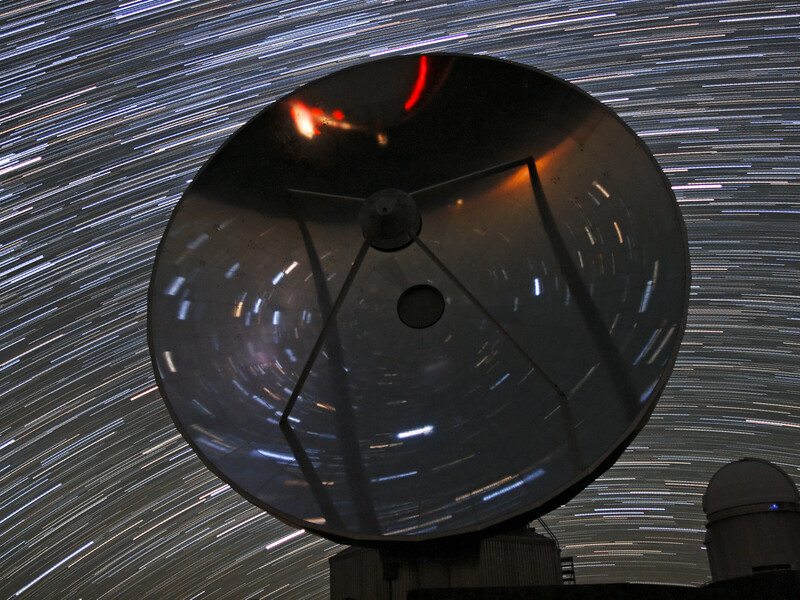 The 15-metre diameter Swedish–ESO Submillimetre Telescope (SEST) was built in 1987, and was operated at ESO's La Silla Observatory in Chile until it was decommissioned in 2003. At the time of construction, SEST was the only radio telescope in the southern hemisphere that was designed to observe the submillimetre Universe, and it paved the way for later telescopes such as the Atacama Pathfinder Experiment telescope (APEX), and the Atacama Large Millimeter/submillimeter Array (ALMA), both located at Chajnantor. 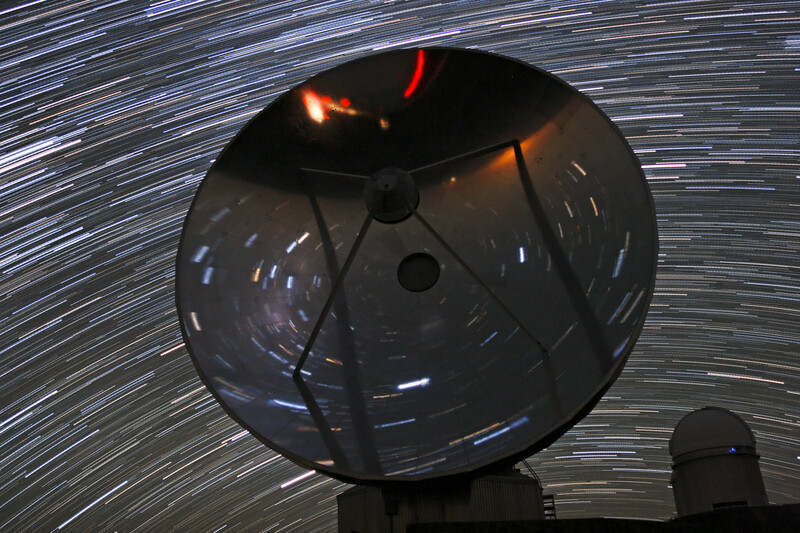 In this image, we see a crowded night sky filled with star trails, a result of the camera's long exposure time. 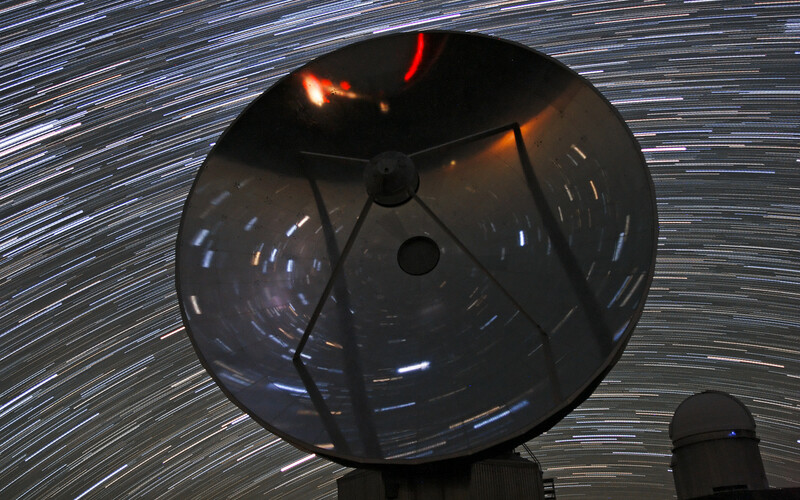 The starlight is reflected back at numerous different angles towards the camera from the giant parabolic dish. 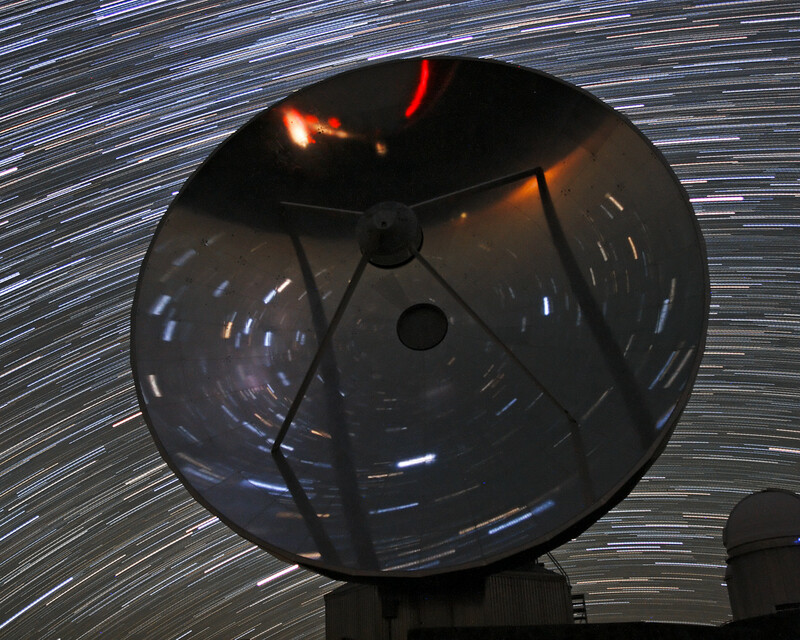 In the background, the ESO 3.6-metre telescope stands in its dome, silently surveying the cosmos. This dizzying picture of the SEST telescope at La Silla was taken by ESO Photo Ambassador José Joaquín Pérez.